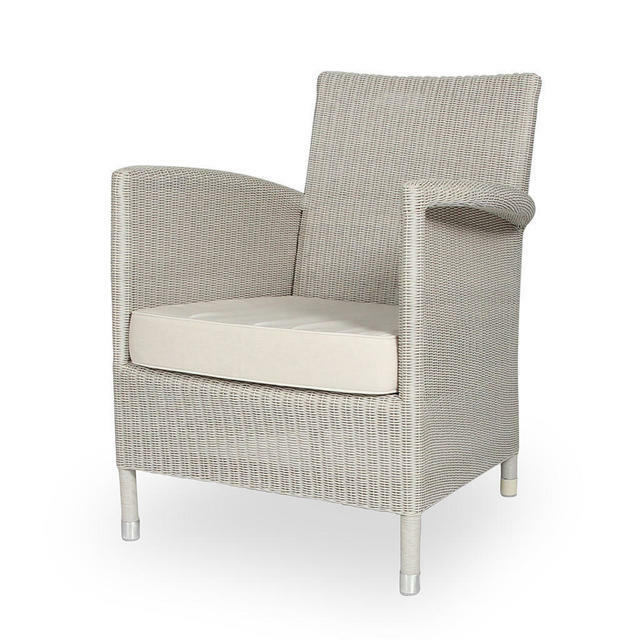 Relax in this luxurious Lloyd Loom classical styled armchair. This item in the 'Safi Range' is no longer available. 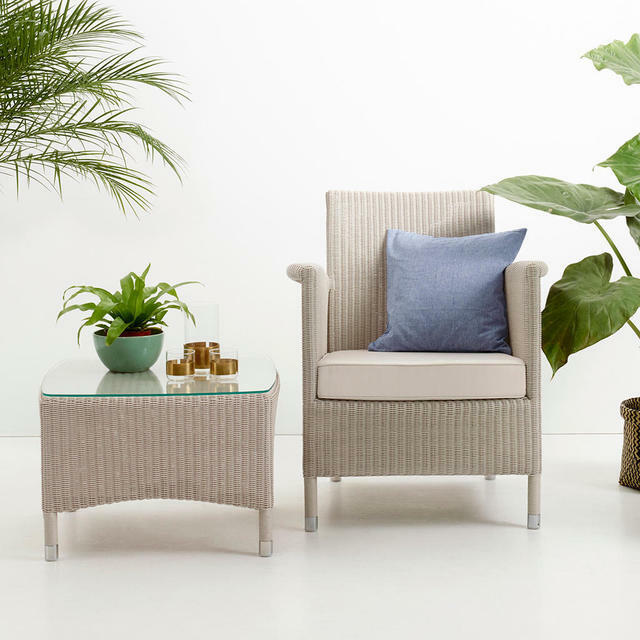 Please take a look at Safi Lounge which also features a chair. 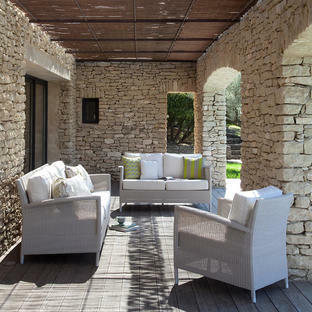 The Safi outdoor armchair is hand-woven using high density polyethylene resin. The armchair is generous with comfortable roll arms and supportive back, but not as deep as the lounge chair. The armchair is shown here with the Safi small side table with glass top. Maintenance: A quick wash with a non-foaming mild detergent every three months will do the trick. A soft nylon brush or a low pressure air hose can also be used to clean between the weaving if needed. The cushion covers are removable and can be gently washed at a cool temperature of 40 degrees. Bring the cushions inside when not in use and during the winter months. 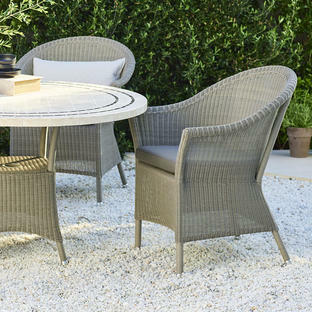 Ordering information: Your Vincent Garden items should be delivered in around 4-5 weeks. We will contact you on receipt of your order to give you more precise information.